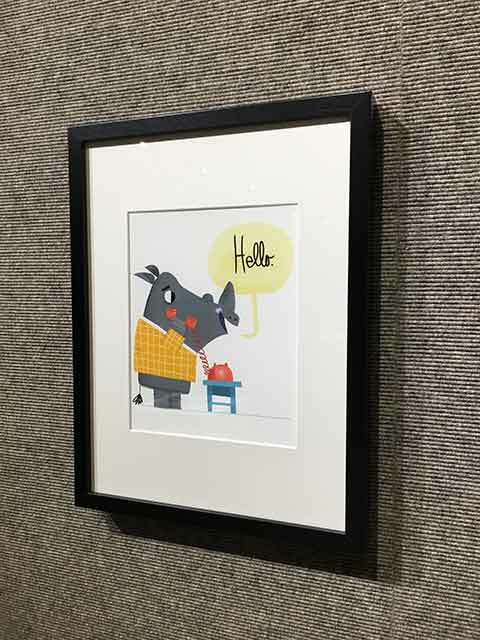 The Samford University Art Gallery is featuring the work of children’s books illustrator and author Rob McClurkan Oct. 16 – Nov. 11, with an artist reception Nov. 9 from 4-5:30 p.m. and special Homecoming weekend hours Nov. 11 from 11 a.m. – 1 p.m.
A 1994 Samford graduate with a Bachelor of Science in graphic design, McClurkan began his career in graphic design but had the opportunity to work with the Southern Baptist North American Mission Board and their children’s magazine where he began illustrating. His passion is encouraging children to read and having the opportunity to see children enjoying his work. McClurkan is busy working with numerous publishers and clients including Bloomsbury, Hallmark, HarperCollins, Simon & Schuster, Scholastic, National Geographic for Kids, Highlights for Children, American Greetings, Peaceable Kingdom, Mattel, and Amazon. He has several new books in the works. Playdate Rules is releasing in November. Other notable books include Aw, Nuts, and Dive In! 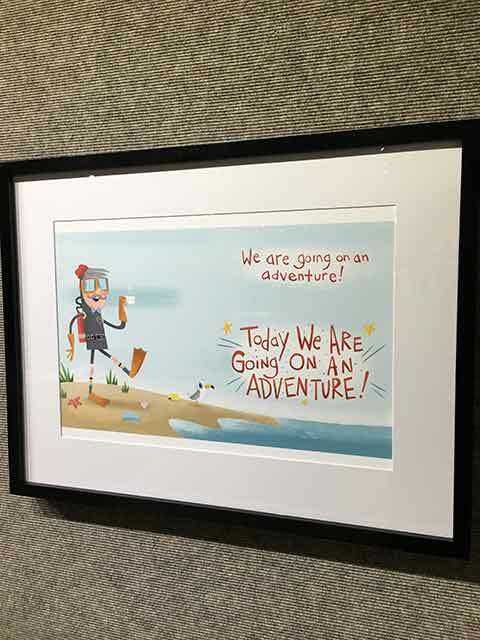 The exhibit offers a sampling of his digital illustrations for books as well as his personal pieces that demonstrate his expansive creative talent. During his visit on campus, he will meet with students and provide an opportunity for them to learn more about his career and the graphic illustration field today. The Samford Art Gallery is located in Swearingen Hall and is open to the public Monday-Friday, 9 a.m. – 4 p.m.